About 30,000 school children in Kerala will get expert training in the mobile app building during the upcoming Christmas vacation. Thiruvananthapuram: About 30,000 school children in Kerala will get expert training in the mobile app building during the upcoming Christmas vacation. The state-run Kerala Infrastructure and Technology for Education (KITE), formerly known as IT@School, has completed arrangements for providing the specific training for children, who are members of 'Kuttikootam', the IT network of students. This would be a continuation training in batches for all of the 'Kuttikootam' members who were trained through the e@Utsav Camp last September, KITE sources here said. The ambitious 'Hi-School Kuttikootam' programme, launched by KITE comprising over one lakh students of standard eight, nine and tenth classes, is considered to be the largest student IT Network in the country, K Anvar Sadath, Vice Chairman and Executive Director, said. App inventor, the Free and Open Source Software (FOSS) application which enables development of mobile apps through a drag and drop method, would be made use of for the students' training. 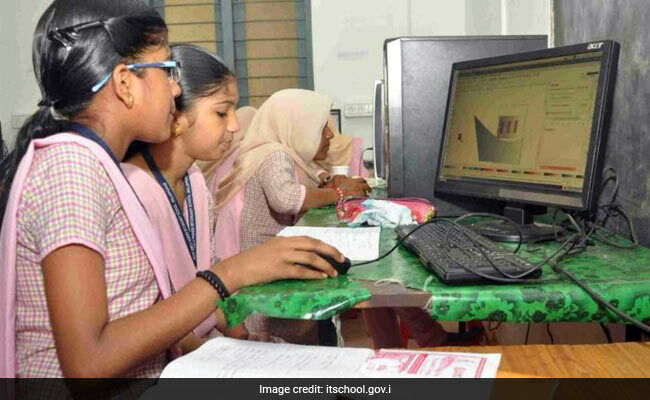 All eighth standard students in the state have already familiarised 'Scratch Visual' programming software which is part of their ICT textbook. "Training venues have been set up in all educational districts, along with the necessary arrangements. As part of this training, all Kuttikootam members would also be empowered to operate and take care of the Hi-Tech facilities made available in the classrooms," the official added.